Eurolines Pass has come up as an attractive option for budget travelers and backpackers. Eurolines bus service offers connections between 53 major cities of Europe. Therefore, Eurolines pass can fit in majority of the Euro Trip itineraries. The cheapest options for youths and adults has been priced at 185 € amd 215 € respectively for 15 consecutive days. This post has not been written to provide you details of Eurolines Pass. 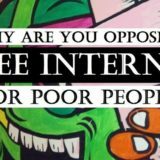 Rather, I am writing this post to provide you tips and tricks to take advantage of what’s already on the table. If you are not familiar with details of Eurolines Pass or Eurolines network, you should have a look at company’s website to get relevant details. Let us get started with Eurolines pass review and see the pros and cons. It is understood that buses are always less comfortable than planes and trains. Also, buses can’t be a winner in either comfort or travel time even after best efforts are put in by the operators. If you are looking towards bus travel, you should accept little discomfort as part of the package. You need to be really tired to catch sleep on bus seats, howsoever reclining they are. I have seen a lot of travelers complain about overnight buses for lack of sleep. It is true that its difficult to sleep on an overnight bus. But, its also true that you save your hotel bill for the night. I hate overnight buses as badly as the most light sleeper on earth. Leave the buses, I can’t sleep in overnight flights. But, I have found an excellent workaround for it. How to catch on sleep? When I don’t get a good night sleep, my photos come really bad. Therefore, first thing I do after an overnight bus is to check-in my hostel or hotel and sleep for five good hours. On the first day, I go out only in the evening around 4 pm and explore the the city till 10-11 pm. I make up for the lost time on the last day at the particular city. I check out of the room in morning and leave the luggage at reception. Thereafter, I explore the city till evening before catching another overnight bus. Why Eurolines Pass is better? 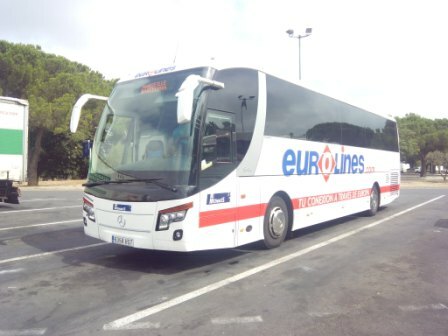 Eurolines offers bus service in all major cities of Europe. Further, Eurolines Pass have separate rate for low, mid and high season. The price have been further segregated for adults and youths (below 26 years). Eurolines pass is offered for 15 as well 30 days consecutive travel. These many options cover the requirement of almost every kind of traveler. College going or retired, in season or off season, slow traveler or fast one – you are covered by the Eurolines Pass. Which Eurolines Pass is better? If your holiday is less than 20 days, take 15 days pass. You can always spend first 4 to 5 days in the first city and then activate your 15 day pass. If you are holiday is more than 20 days, take 30 days pass. If cost of accommodation worries you for the extra days, travel to cheaper cities of Europe for those days. Problem with passes is that people tend to maximise their benefit of passes. Few travelers go to the extent of spoiling their holidays just for taking the maximum benefit of passes. One of my friend tried his best to visit all museums in Switzerland just because he took a Swiss pass. He didn’t take a single hike in the Alps just because he didn’t want to waste “one day of pass”. You can easily guess that he saw only trains in Switzerland. I follow the simple rule of “Relaxing after crossing threshold” whenever I buy passes. The rule is self explanatory. Still, I will take an example. Suppose, you have already used your Eurolines Pass for journeys worth 260 Euros and you need to make a long distance connection from Paris to Rome. Don’t hesitate in taking a train connection just because you have pass with you. Bus Journeys of travel time less than 12 hours are fairly easy. Journeys upto 15 hours are still doable. However, journeys more than 15 hours are extremely difficult. You would have not even looked at bus travel of more than 15 hours if Eurolines Pass allowed you to take journeys within one country. But, they have clearly stated that the cities should be in different countries for the pass to be valid. I will give you three examples for solving problems of validity as well as long journeys. I had to travel from Paris to Barcelona. The bus journey was 15 hours and doable. However, I wanted the trip to be more relaxed. I took a Ouigo train from Paris to Montpellier in 10 Euros. Then, I used my pass for 6 hour bus journey of Eurolines from Montpellier to Barcelona. 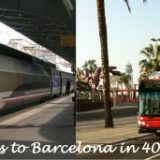 You can read more details of this cheap connection from Paris to Barcelona in 40 Euros. Suppose, you have to travel from Paris to Rome. Eurolines bus take 22 hours for this leg. This is extremely difficult for most travelers. For me, this is impossible. My advise would be to take Eurolines bus from Paris to Milan. This bus journey is a overnight travel of 12 hours, which is fairly easy. You can break your journey at Milan for a day. Later, you can take either train or bus from Milan to Rome. You can take similar way from Paris to Venice. I traveled from Barcelona to Geneva in 10 hours by taking a Eurolines Bus from Barcelona to Montpelier. Read more about travel connection from Barcelona to Geneva. Is Eurolines Pass worth it? I will give you some stats for quick decision. If you are devoting 3 days each to one city, you can cover six cities of Europe in a 15 day pass. Assuming you validate your pass after three days in first city. You need to do your own calculations for picking the six cities. So that cost of individual tickets exceed the cost of pass. 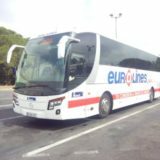 How are Eurolines Bus ? Do you want to read about our experience on Eurolines before taking the call for Eurolines Pass? Then read our story of bus journey from Montpellier to Barcelona. How did you find our take on Eurolines pass? Will you be taking it for your next Euro Trip? 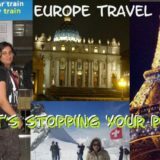 Have you traveled through Eurolines across Europe? How was your experience? Please tell your opinion through comments. Previous story How travel blogging infuses optimism in my life? Thanks for the sharing such wonderful review on Eurolines Pass .Your tips on overnight journey by buses and planing the journey comfortably without spending a lot are really very much useful. I must say that your’s following rule of “Relaxing after crossing threshold” is the best policy for any travelling. Keep sharing such useful reviews and useful tips. Thanks Alisha, we are glad you found it helpful. Thanks Aditi for sharing our post. We are writing more on Europe trip in the coming weeks. Very valuable details…I would try this when i plan for Europe, which i have to someday. 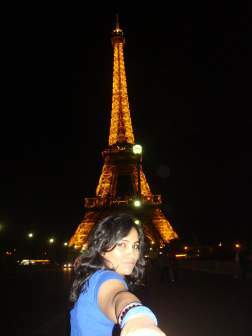 Thanks Alok, I am writing now about why should we not keep postponing our Europe tour. I am sure you will find it interesting. Heading to Europe in less than a week, reading your blog in Brazil where I’ve been backpacking as we speak. Was about to purchase the eurail two week pass when I came across the eurolines option and stumbled upon your site. LOVE IT!!! Just a question whether which countries you did and over what time period. Leaning on taking the 1month pass and doing as much countries as I can, with a preference over eastern europe given its more economical. Not sure though whether Eurolines make it harder in as far as charging reservation fees or having less than frequent buses.